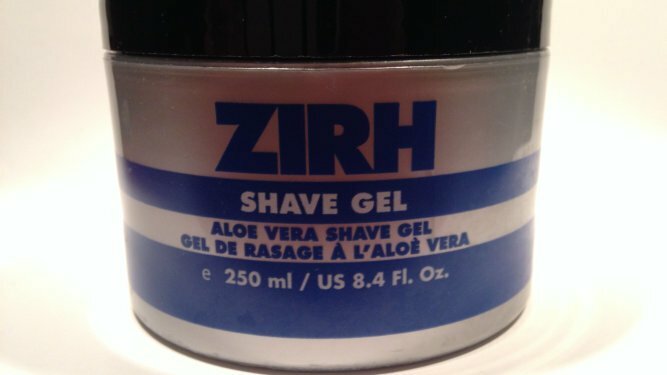 In this post I will be reviewing the Zirh aloe vera shave gel. 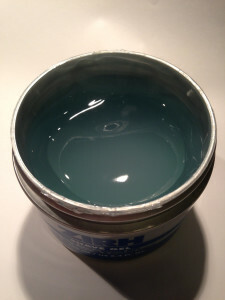 Awhile back I bought an 8.4 oz container of it from Sephora. I went in to buy some The Art of Shaving after shave balm, since there isn’t a The Art of Shaving store remotely close to me. While I was in Sephora’s shaving section I noticed the Zirh shaving gel. I had never tried a shaving gel before, so I figured I would give it a whirl and see how it performed. My experience with the Zirh shave gel didn’t quite meet my expectations. I was expecting the shave gel to react similar to that of aloe gel and even that of other shaving creams. I was expecting a cool sensation to cover my face, but I got the exact opposite. As I was applying the gel to my face I was quite shocked to get a heating sensation. Instead of a cooling sensation, it was a warming sensation akin to that when you are sitting in a car seat that has seat warmers. Now I’m not sure if other people have this experience with it or if I was just having an allergic reaction to one of the ingredients, but either way I did not enjoy it whatsoever. At any rate, I decided to continue and shave with it. The Zirh shave gel did do a good job of lubricating my face. The blade of the razor smoothly glided over my face. Also, I didn’t experience any razor burn or irritation during or after the shaving, which really surprised me due to the warming sensation I felt when applying. Another thing I didn’t like about the shave gel was that it didn’t lather. Now I know that a shave gel won’t lather and that it’s just going to form a thin layer on top of the skin. However, I’ve come to enjoy the feeling of shaving soap lathering up on my face. With a lot of brands of shaving soap, such as Proraso, there is a cool feeling that I get when I lather up. That cool feeling didn’t exist with the shave gel and therefore took a large part of the enjoyment of the shave away from me. It really wasn’t for me. I still have almost the entire container left sitting in my bathroom that I should just throw away. I gave it a second chance recently and had the same experience with it. Needless to say, I’m not going to give it a third try. If you decide you want to find out for yourself whether you like it or not, I don’t recommend that you buy the big 8.4 oz container. Instead I would go into Sephora’s and ask for a sample of it. The store employee will give you a small amount to take home and try. If you love it great, but if you don’t like it you’ll have saved yourself 15 bucks. If you do try it, let me know what you think below in the comments. Thank you for your comment. I went to your link and didn’t see much except that it won a 2009 award. I found it interesting that most of the comments on the article were negative. It seems that the people who used to like it, now don’t like it anymore. Also, the article you linked to showed a picture of shaving cream and not shaving gel. This gel is a completely different product than that shaving cream.